Welcome to Premier Floor Covering and Tile Center. We have been servicing the Nevada County and surrounding areas for over 20 years. We are family owned and operated and our customers are our #1 priority. We understand how much is involved with choosing new flooring and window treatments for your home or office. We can assist yiou with some of these choices and the right products for your space. 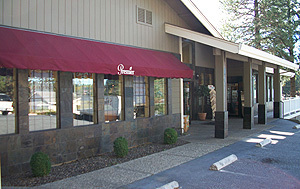 Our showroom is located in Grass Valley, CA, and we invite you to come for a visit. We offer a variety of colors, styles, and textures making your shopping easy! YOU are OUR # 1 priority! From the moment you come and meet with an associate, you will feel comfortable, relaxed, and welcome in our store. Once your final decisions have been made, we stay in close contact with you. You will be kept up-to-date on your job from the order process to the time we are scheduling the installation. You will work with our certified installers on a time that is convenient for you. Our certified installers are the best in the industry and guarantee great work every time! When making decisions for your home and a sizable investment, you deserve to have the job done perfectly the first time. For information about our full selection of window treatments, please see our product page or to view floor covering and tile products, visit our main site.